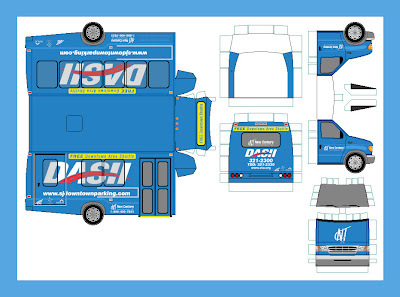 We love paper models, so when we chanced on the neat and simple Paper Bus Connection site, we thought you would like a look too. Paper Bus Connection is an online repository for dozens of beautifully crafted multi-view drawings of buses around the world, complete with bilingual instructions and simple tabs to glue the parts together. Scale can be anything you like, depending on the size you choose to print at, but we reckon that PBC’s drawings would best fit 1:87 or 1:76 scale - and would not look out of place next to a collection of diecast buses. The variety of subjects is staggering, even extending to a bus for the fashionista set - a special Louis Vuitton colour scheme applied to a Leyland Victory II. It’s not quite our thing perhaps, but it’s certainly different. Buses from PBC fall into three main groups: Hong Kong, China, and the US, with a couple each for Canada and the UK. And best of all, all bus plans are yours to download for free - good on you Paper Bus Connection! Visit Paper Bus Connection here.